Globecast provides broadcasters with effective playout and media solutions. Amsterdam, IBC, September 2015: Globecast, the global solutions provider for media, has integrated its private infrastructure with a set of cloud-based tools to provide broadcasters with the most effective playout and media solutions proposition. This integration combines the best features of the cloud with Globecast’s expertise in managed media solutions to create a solution that meets customers’ specific business objectives. At the heart of Globecast’s cloud-based approach is its Media Factory platform, which enables the handling and preparation of content for any kind of distribution. Media Factory breaks down the traditional siloes related to separate content preparation workflows for different distribution approaches or different regions and allows customers to provide content to Globecast once and then deliver to linear playout, OTT and Video on demand platforms. 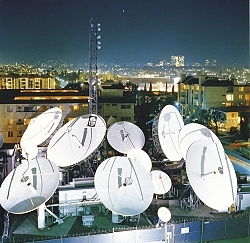 Furthermore, Media Factory allows Globecast’s three media centres in London, Singapore and Los Angeles to seamlessly work as a single operation. Globecast’s Channel Localisation offering draws on the flexibility, cost efficiency and accessibility of cloud infrastructure to enable broadcasters to test out services in new markets/territories without the need for a long term commitment if the market does not respond. Broadcasters have peace of mind knowing that all their content complies with local regulations, broadcasting in a local language or with local subtitles, as required. By using a small amount of physical infrastructure, Globecast is also able to ensure quality of service to maintain a broadcaster’s brand integrity and values. In addition, Globecast is rolling out its cloud-based customer portal to provide remote access to channel workflows. It enables them to see the status of any content that Globecast holds for them, view this and orchestrate tasks between third-party specialist providers for subtitles or dubbing. The portal gives broadcasters as little or as much control over their channel or content as they want, with the agility to quickly adapt to changing market behaviour.